You can also download a free resource package at the end of the post, including a Marketing Response Reference Guide which will show you what actions to take and how to respond to some of the different replies you are likely to receive from your email marketing campaigns. The first thing that needs to happen after sending off that marketing email is to track the relevant data in a CRM system. This will ensure that you have all of the information regarding this marketing outreach easily accessible so that you can refer to it at any point in the future. Let’s take a closer look at what a CRM system is, and what sort of information you need to store in it regarding your email marketing efforts. CRM stands for Customer Relationship Management and refers to a system that you can use to store information about your clients, leads, and other aspects of your business. It’s a great way to hang on to not only contact information, but also details of your interactions with clients and leads, such as when they were contacted, how you found them, and more. If you’ve been working as a VO Talent for any considerable length of time, and marketing yourself during that time, then you are likely already aware that sometimes you won’t receive a response to a marketing outreach until weeks, months, or even years later. By storing all of the relevant information pertaining to your marketing efforts, you can jump right back into the conversation when you receive a delayed reply. More importantly, storing information in a CRM helps to organize and streamline your marketing efforts. It will allow you to avoid reaching out to prospects too often and becoming annoying, stay on top of the clients and leads that require follow ups, and serve as a central hub for all of the details of your relationship with a specific client or lead. What Should I Store in my CRM System? Now let’s get into the specific details that you should think about storing in your CRM system after sending off a marketing email. Contact Status - Did you Attempt to Contact them with no reply, did you get a reply, are you simply creating a record for them in your CRM because you haven’t reached out yet but intend to in the future? Lead Rating - Some people may like to further categorize leads into subgroups, such as Cold Leads, Warm Leads, and Hot Leads, based on the response they get to a marketing email and the potential for that lead to become a client. This would allow you to target marketing campaigns in the future to leads based on their rating. Title - It may be helpful to store the contact person’s job title, just so you can be more aware of their role at the company and what they are responsible for when communicating with them in the future. Notes - If you have an extended conversation with a lead, it may be useful to add some notes to the CRM Record for that lead. Many CRM Systems have the option to do this and it can be immensely helpful. For instance, if you discuss rates for specific services or actual projects, it can be very nice to have this information easily accessible should you need it at some point in the future, where you may have already forgotten the details of a phone or email conversation with the lead. Phone Number - If you are only communicating with the lead via email, it may not be neccessary to store this information right away. But if the conversation progresses to a phone call, it would be wise to hang on to the number that was used to contact the person. And if you’re marketing efforts include cold calling, then it would also be a good idea to include the phone number that was called in the Lead Record. If you have sent off a marketing email, and then created a record for that lead in CRM, you can stop there until you receive a response from the lead. Once you do reach this point, it is a good idea to move on to Step 2, adding them to a mailing list. If a prospect responds positively to a marketing email, meaning that they express interest in working with you, complement your work, ask for more details, etc… then you should add them to a mailing list. If they say something along the lines of “Thanks, but no thanks” then you can probably let that one go. But if they leave any door open, by saying something like “We’re all set for now, but I’ll let you know if anything changes in the future” - then that is still a good candidate to go on your mailing list. They can always unsubscribe after the first email they receive if they are not interested. 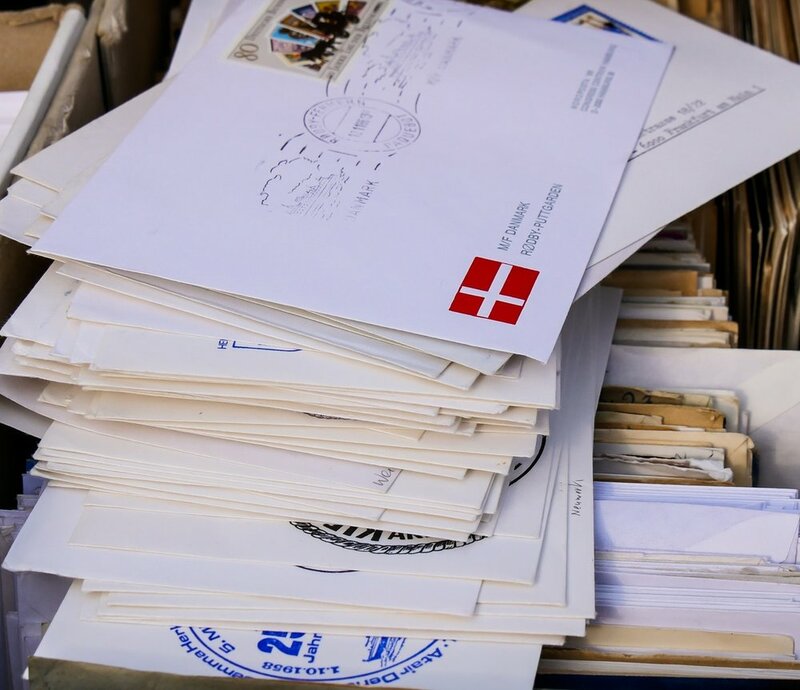 A mailing list can be as simple as an excel spreadsheet with a list of client names and email addresses, but it’s probably a good idea to take it further than this and add a bit more organization. The final step you should take, after you’ve sent an email, stored the data in CRM, received a reply, and added the prospect to your mailing list, is to connect with the prospect on social media. This gives the additional benefit of having more open channels of communication with the prospect and more ways to stay on their radar. LinkedIn is the most professional of the social networks, so that’s the one I would recommend most. But basically, you should consider connecting with them on any social media platform that you utilize for your business, whether that’s only LinkedIn, or also Facebook, Twitter, Instagram or others. A “Like” or “Follow” can lead to them returning the favor and only strengthen your relationship and your overall social media presence. To sum up, after you send out a marketing email to a prospect or lead, the job is not done. At the very least, you should be storing the relevant information about your marketing outreach in a CRM system. If you receive a positive response to your email, you should then add the lead to a mailing list, so that they can go into your regular “Touch” campaign rotation where you stay in touch with interested prospects in hopes of turning them into clients. You should also consider connecting with them on any social media platforms that you utilize for your business, as an additional way to strengthen your relationship. If you don’t already have a CRM system or Mailing List - do your homework and find one that works best for you and whatever stage of your career you are in, and get it up and running within the next week! If you already have these systems in place, download and begin using the reference guide included in the free resource package for this post, to systematically take the proper actions for every type of response you get to your marketing emails, to ensure you are handling them properly and not missing any opportunities or letting quality leads slip through the cracks. Do you take any of the actions in this post after you send a marketing email? Are there any additional steps you take? Let me know in the comments! Click the button below to download a free resource package for this post, including a PDF version for saving and offline reading, as well as a free Marketing Response Reference Guide with instructions on what steps you need to take after receiving different types of responses to your marketing emails.